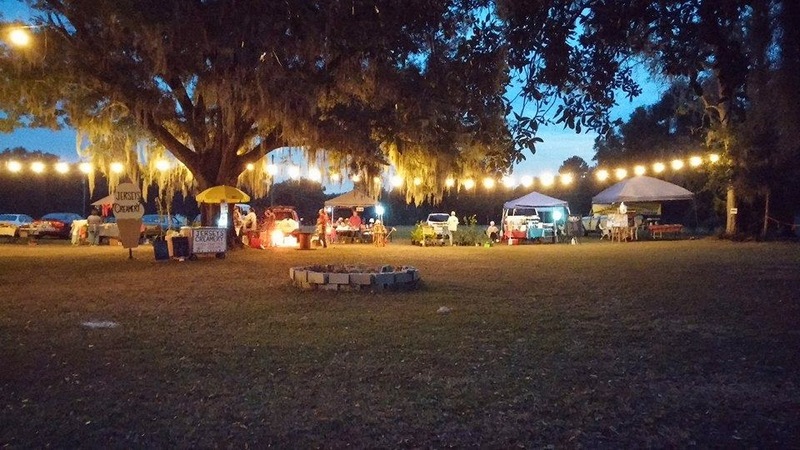 Florida Survival Gardening: No More 326 Community Market: Done for the Winter! No More 326 Community Market: Done for the Winter! I've had a great run at the 326 Community Market this year. They're still open through the winter; however, much of what I sell in my nursery doesn't display well during the cold season so I'm calling it quits for now. ME: "Hi, ma'am, how are you today?" POTENTIAL CUSTOMER: "Fine. What are you selling? Sticks in pots?" ME: "Yes. A great selection. This stick is a pear tree... this one is a Japanese persimmon. Over here, I have peach and nectarine sticks." POTENTIAL CUSTOMER: "I have sticks at home." ME: "But these sticks will turn into fruit trees in spring." POTENTIAL CUSTOMER: "What are those trays of little green plants?" ME: "Various rare perennial vegetables." POTENTIAL CUSTOMER: "Can I plant them in the winter?" POTENTIAL CUSTOMER: "I'm going to another booth." ME: "No - please stay." POTENTIAL CUSTOMER: (starts to walk away) "I'm going." ME: "You have pretty eyes!!! And a nice sweater!!!" POTENTIAL CUSTOMER: (moving away quicker) "GOODBYE!" ME: "WAIT! I have cassava! You can plant those in JUST four months!!! WAAAAAAAAAIIIIIIIIIIIIIIIITTTTTTTT!!!!!" This just isn't a good time of year to be a nurseryman. I'm going to spend the next couple of months improving my homestead's infrastructure and finishing my new book on composting. That said, I'm still going to be hitting the market to buy eggs, fruit and honey. Stop on by and support the local community. Oh, dang! We were traveling up that way in two weeks and hoping to meet you (love your posts). We're always looking for fellow food forest enthusiasts to meet and maybe tour their gardens. Have a good winter! Contact me via the e-mail link on my sidebar - we can still meet up. A book on composting, you say. I await this with some apprehension. It had always seemed fairly simple to me, but if there's a whole book's worth of knowledge, well. Your market looks entirely charming. But y'all need some Hmong truck gardeners. Strangely enough, we're doing quite well without any Hmong. Composting in its basic form is quite simple. Throw it on the ground and it rots. My book will be covering materials than are not usually used: meat, paper, human waste, etc. I'm also jumping into ways to stretch the compost and use it safely.